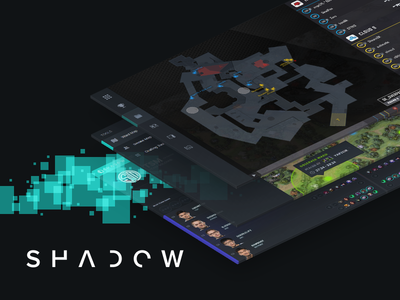 SHADOW.GG — A marketing promo image featuring UI from our three products for different games (League of Legends, Counter-Strike, and DOTA 2). The perspective-style screenshot helped unify the UI stlye (where in practice they look slightly different). A more horizontal layout was used for the Twitter profile. SHADOW Logo — I never said I was good at logo design, okay? Just keeping it simple and straight-forward. 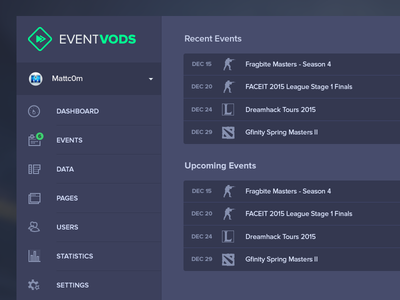 Product offers data analysis & opponent scouting tools for professional gaming teams. Wanted to make it feel stark but not too "game-y"
Counter-Strike Replay Viewer — An example of a round replay visualization for Shadow.GG. Uses the redesigned basemaps highlighted in the previous shot. This animation is an older layout. The scrubber and typography has been heavily updated, along with a new and improved sidebar area. 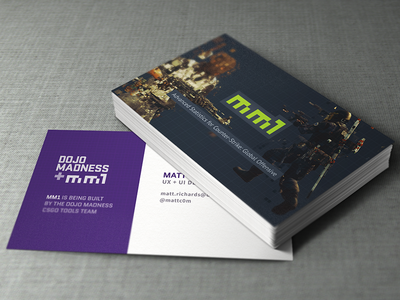 mm1 Business Cards — a business card mockup for an analytics product called mm1. 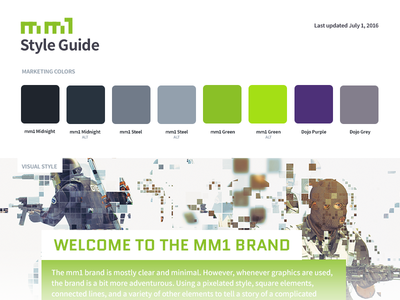 purple color scheme belongs to parent company (dojo madness) and the green/blue scheme belongs to the product (mm1). looks a bit awkward in a mockup, looks fine in person. 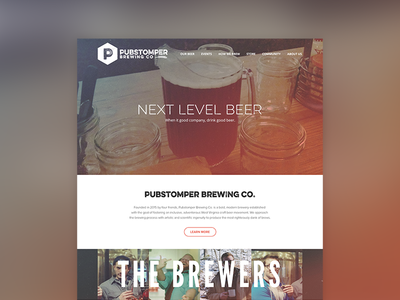 Pubstomper Website - Homepage — Homepage for a brewing company startup in WV. Photo is actually something I had on my phone from Hill Country BBQ in DC. 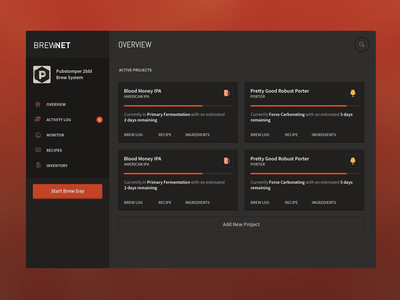 Brewnet - Dashboard UI — UI for Brewnet. Meant to help track brewing projects (homebrewing or professional), as well as recipes, real-time monitoring, inventory, etc. 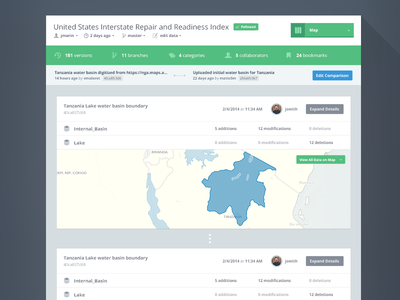 This dashboard view highlights the various active projects, as well as shows their time-to-completion. 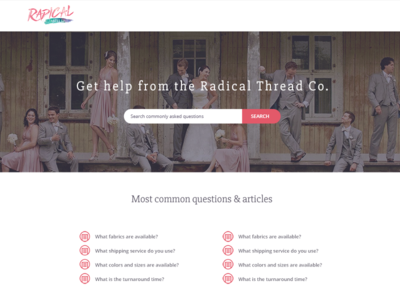 Radical Thread - Help Center Mockup — Help center mockup for the radical thread co. 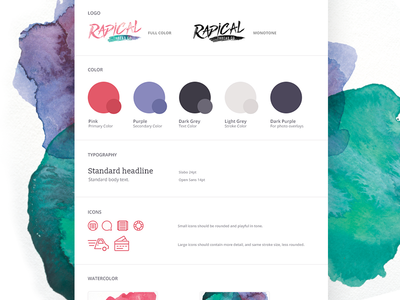 Implemented style guide into look+feel. 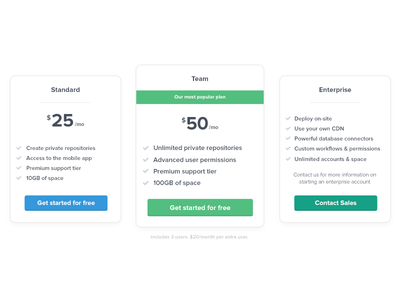 Stylish Pricing Table — Cool pricing table concept, remixed to make it slightly more stylish and somewhat Squarespace-esque. Love the airy spacing, clean typography, and the thick-but-oh-so-subtle border. Really digging it! 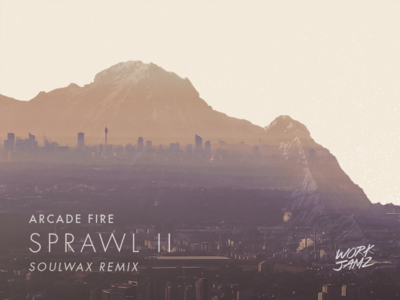 Sprawl II "Cover" — Just a fun little photo manipulation project. First time working with the double exposure effect - it's a lot of fun, haha. 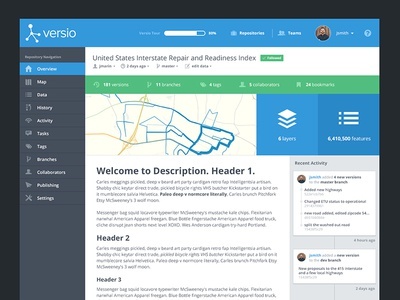 Versio UI - Overview Page — A look at the latest iteration of the UI for Versio. 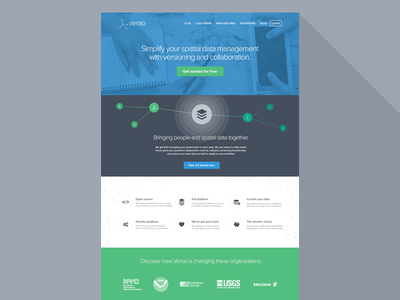 Versio Homepage v2 — a concept for the new homepage for the versio website. view the @2x for more detail. cheers! Public Site Map Viewer — An idea for what a public site could look like, that you can generate with a piece of geospatial data using a web app. Selector tabs will switch between different map views. 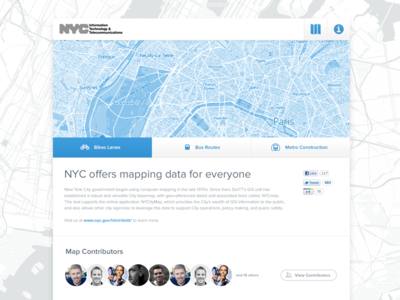 Would show a map that was crowd-sourced (thus listing the contributors at the bottom). Yes, I used a Paris map to demonstrate a NYC example. My bad. 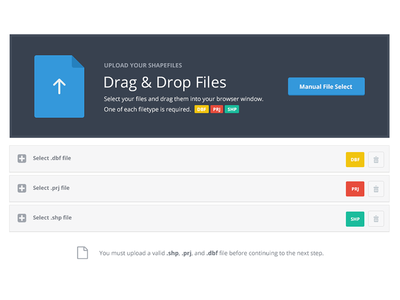 Drag & Drop Upload Box — First version of a drag and drop upload box that requires three different, linked files to have a successful upload. Each file will animate and fill up their respective boxes when successfully selected. Logo with a Compass — tried to do two variations of the same logo (one proxima nova light, one proxima nova soft). i'm not a logo designer, but i tend to make a lot of logos, haha. Versio Version Explorer for Geospatial Data — A quick behind-the-scenes look at a new feature for Versio called the Version Explorer -- it shows all the changes made over time in a "timeline" style design. 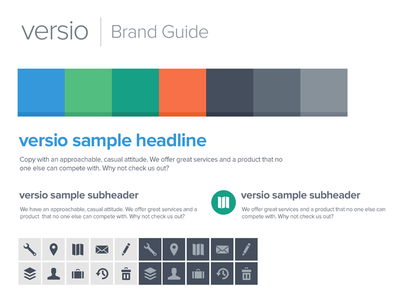 Versio Sample UI Elements — Just a few sample UI elements from a more comprehensive brand guide. 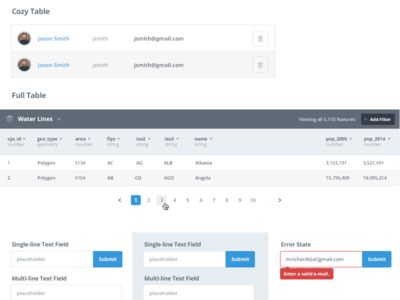 Trying to keep things neat, tidy, yet stylized for the Versio UI. 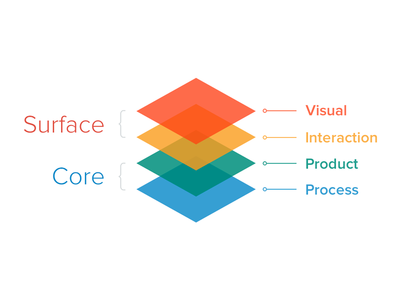 Just some of many design patterns throughout the app. 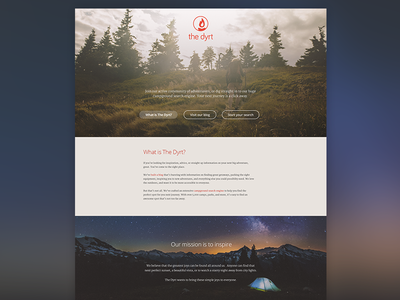 The Dyrt - Homepage — Homepage for the newly launched www.thedyrt.com that I created. 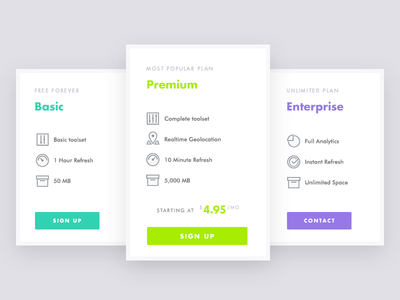 Features Open Sans as the primary header font, and Merriweather for the body font. Check the @2x at the top for more detail. Check out the developed version at www.thedyrt.com More pages to be uploaded in the coming days.